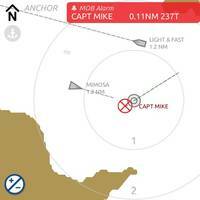 mazu announced the launch of the its SportFishing app, which gives anglers weather and sea state information, as well as provides communications capabilities via satellite. 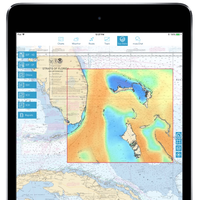 The mazu SportFishing app links with mazu’s m2500 hardware to offer global service using the Iridium satellite network.mazu SportFishing offers a method of in-app connectivity with its innovative mazuChat. 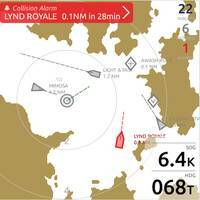 This functionality centralizes communication with friends and other sports fishermen, allowing anglers to quickly and easily relay information on a private and reliable connection. FUSION has announced the launch of the Apollo Series marine audio entertainment system.The flagship of the new Apollo Series, the FUSION RA770 is said to be the world’s first purpose-built marine entertainment system with a one-piece glass touchscreen display, featuring built-in Wi-Fi streaming, Digital Signal Processing Technology (DSP) and PartyBus capabilities. Featuring an optically bonded, full-color LCD display, the RA770’s one-piece glass touchscreen makes trying to locate the correct button a thing of the past. 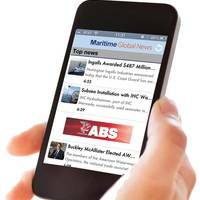 VesselVanguard, a leading maintenance management solution for boat owners and manufacturers, announced the launch of its next-generation user interface including off-line functionality. 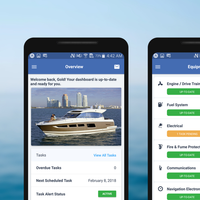 Redesigned for enhanced functionality, the all new VesselVanguard website offers streamlined access to private boat profiles that track and organize maintenance tasks for every piece of equipment onboard a vessel, sends task alerts for necessary service, is able to assign maintenance tasks via email directly to contractors and certified technicians, organizes warranty data and includes digitized user manuals. WebWatch, the all-in-one Wi-Fi hotspot, cellular data and high-definition television (HDTV) antenna from Shakespeare, shares signals for up to 32 on-board users. 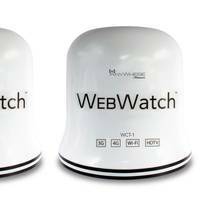 WebWatch delivers Internet with speeds up to 4G from a nearby Wi-Fi hotspot or cellular network with a user-supplied data-only SIM card. It provides greater range than a mobile device or laptop. The integrated receiver switches automatically between Wi-Fi signals and cellular data to maintain and optimize Internet connectivity. 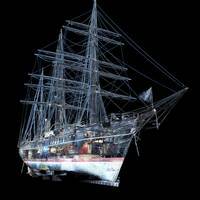 WebWatch is easily managed through a web browser or free mobile app. Shakespeare has expanded boaters' ability to stay in touch with the world with its new WebWatch, an all-in-one Wi-Fi hotspot and high-definition television (HDTV) antenna that can keep devices connected to the Internet from nearby Wi-Fi hotspots or cellular data. 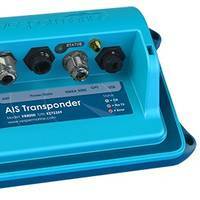 Designed to be fast, reliable and tailored for long range reception, it provides increased reception and more range than PC and mobile device wireless data connections. WebWatch provides Internet access for up to 32 users from nearby Wi-Fi or, with a data-only AT&T SIM card, a cellular network, with speeds up to 4G. Raymarine is calling the new Dragonfly 7 PRO its most feature-rich sonar/GPS combination yet for fresh and coastal saltwater fishing. Offering the same features as the Dragonfly 5 PRO, Dragonfly 7 PRO is equipped with a larger 7-inch display for maximum visibility. The super bright display is also optically-bonded for all-weather performance, and is guaranteed to never fog up, the manufacturer said. 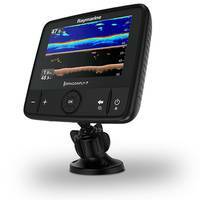 Dragonfly 7 PRO’s DownVision sonar uses wide spectrum CHIRP technology to transmit across multiple sonar frequencies simultaneously. Global chart maker NV Charts is adding a new, dynamic dimension to its digital chart products and mobile NV App, all for free. 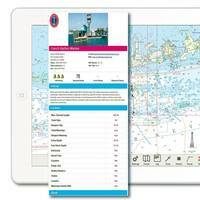 Cruisers who download the free NV App for navigating with tablets or mobile devices will also be able to download NV Chart’s entire U.S. East Coast digital chart sets at zero cost from Maine and the Canadian Border to the southernmost tip of Florida at Key West. In addition, NV Charts has teamed up with the Atlantic Cruising Club (ACC), an independent publishing company that offers guides with information on marinas and their surrounding areas. ASA Electronics has introduced a new self-contained App ready/USB/Bluetooth enabled 3.5" waterproof stereo. This unique unit offers boating enthusiasts every stereo feature they are looking for in a compact, simple-to-use design. The 160 watt MS3A stereo is suited for boaters looking for a space saving, high performance system built specifically for the marine environment, the manufacturer said. Through JENSEN’s new jControl app, boaters will have the ability to control all of the stereo’s primary functions directly from their mobile device. 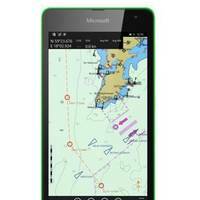 ASA Electronics has introduced to the marine industry the new MS2A App Ready Waterproof Stereo with Bluetooth, which according to ASA Electronics, features advanced technology, a modern look and good durability. The MS2A is part of a series of marine grade stereos that feature advanced app control technology which allows boaters to control the primary functions of their stereo directly from their mobile device via a free downloadable application called JENSEN Marine. 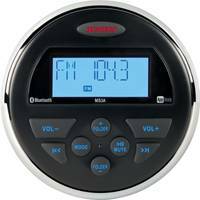 This unit has 160 watts of power and includes a rear auxiliary input, a pre-amp line out audio and an AM/FM electronic tuner. 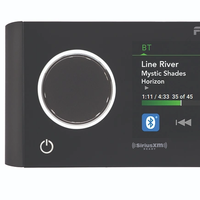 Marine equipment company FUSION announced today its new bundled marine stereo package, the Fusion Ultimate Stereo Pack. Equipped with the ultra-compact award-winning FUSION MS-RA205 stereo, the MS-UNIDOCK Universal Media Device Dock, MS-BT100 Bluetooth device and a DIN sized mounting plate. 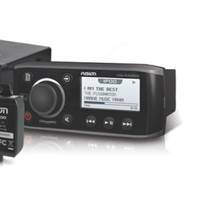 The Ultimate Stereo Pack is a True-Marinex entertainment solution suited for boats with limited dash space. Using the industry standard NMEA 2000 network, the pack features FUSION-Link technology that provides system control and communication with compatible MFDs and remotes.